Peaches and Paprika: Peaches & Paprika celebrate INTERNATIONAL BOX DAY! 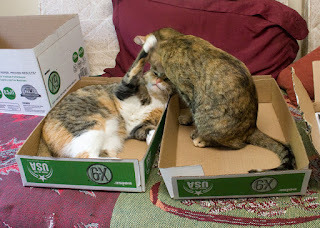 Peaches & Paprika celebrate INTERNATIONAL BOX DAY! AT LAST! We have the blog to ourselves again. Well, not exactly...There is a D-O-G lurking in one of these boxes. We couldn't do anything about it. So the best thing we can tell you is VISIT LUKE at Wag n' Woof website...to see what a dog would be up to on Box Day. We're cats so... you know. We celebrate in our own feline way. 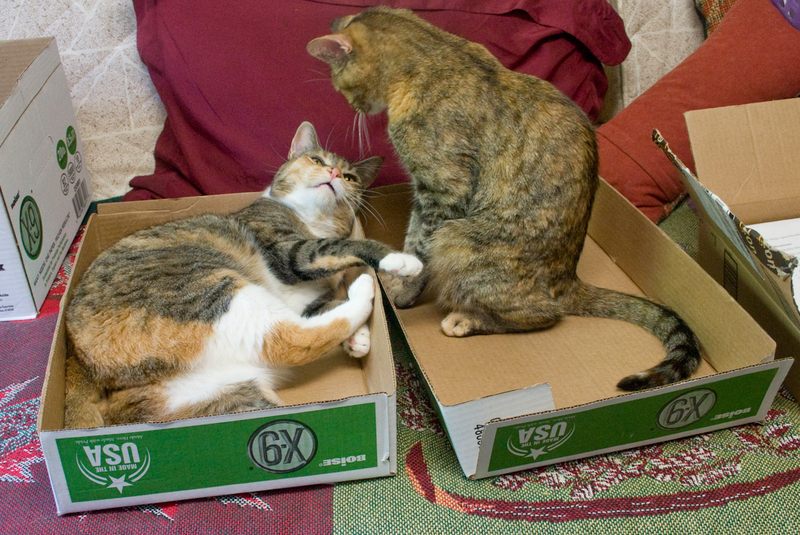 How 'bout returning the favor, Paprika? My turn to kiss you! Wait! I wasn't finished yet! Knew I could get Peaches to kiss me! 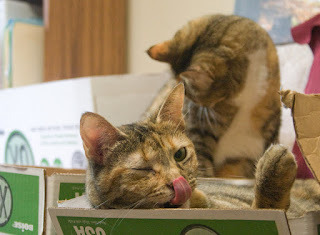 (or 2) to bring out the best in a cat like YOU! 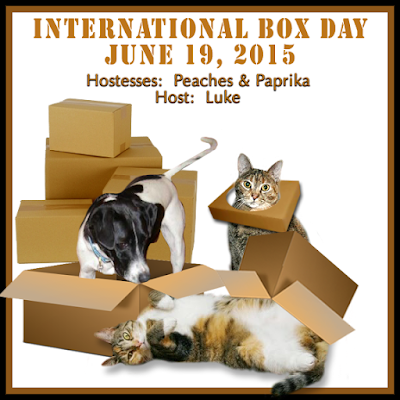 Happy International Box Day from Luke, Peaches & Paprika to You! 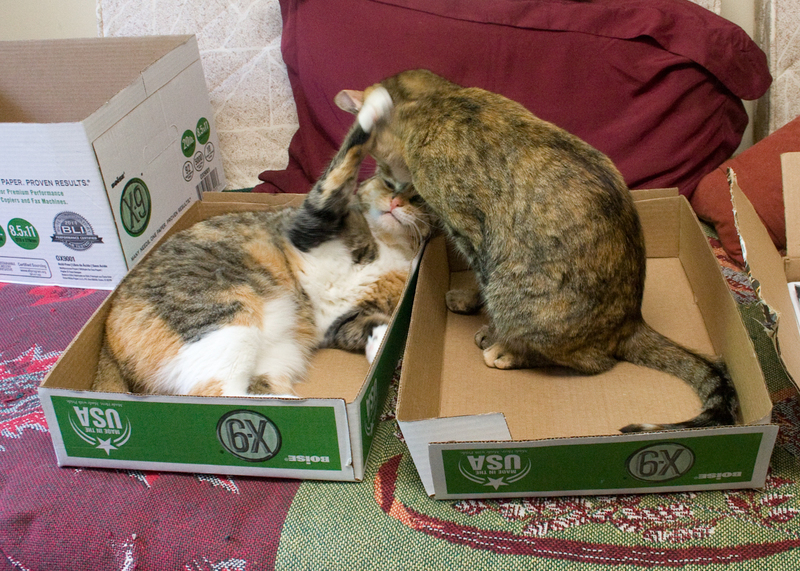 Come to think of it, since Luke has boxed us up, we will box him up! It's all in fun...Happy Box Day from US! PS: Thank you to amazing Zoolatry for the imaginative graphic. We love it! 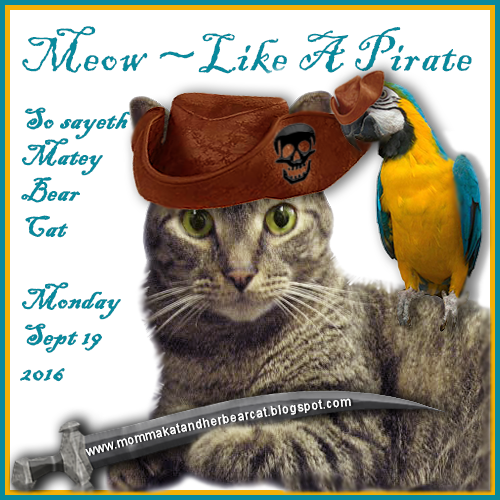 And Courageous Jan from Wag N' Woof has started a blog hop for all the animals. See Below! Oh you to are so cute! 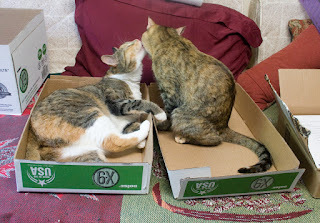 Love your Boxes and you, too! 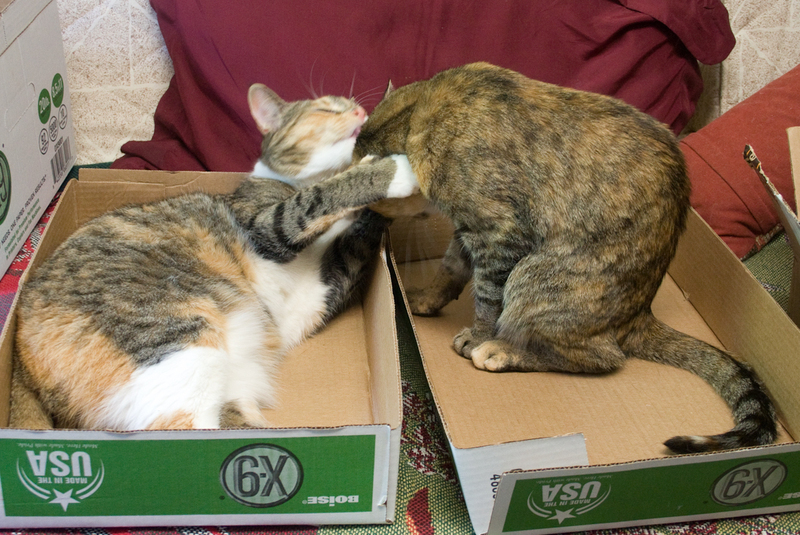 We love boxes and it's nice to see you guys share. 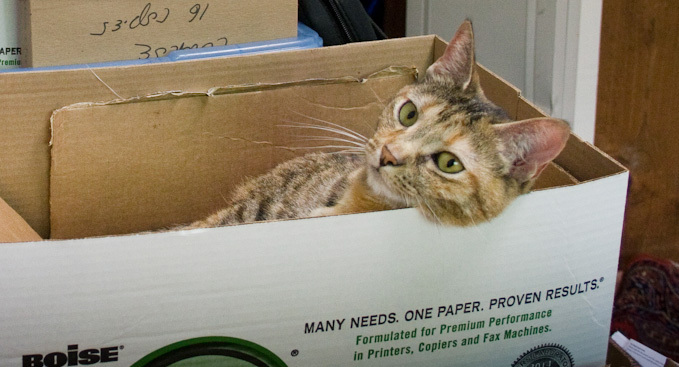 Our latest favorite cardboard box suitcase came filled with cat food. What great pictures of you in your boxes. 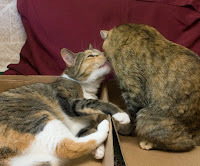 P 'n' P ~ the two of you totally could not be any cuter or sweeter in your boxes together! 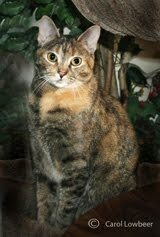 Mom: what amazing photos ... captioned purr-fectly! Paws up to all of you, thanks for hosting this event. 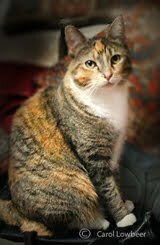 Hugs and purrs, the Zoolatry Girls (now back to looking at these oh-too-cute kitty pics) Love you all! Love these loving comment. Purrrrrrrs to all of you! Box tops are as good as deep boxes. Better, sometimes, because it's easier to reach out and whap an unsuspecting kitty wandering past. 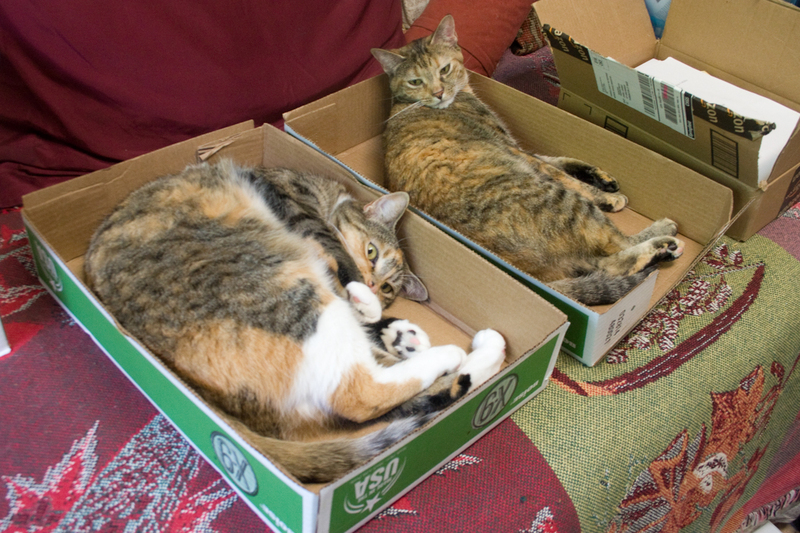 Your matching boxes are great. 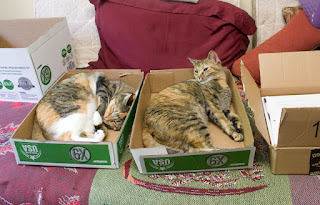 Just the right size too and a multi purpose use for a bed. 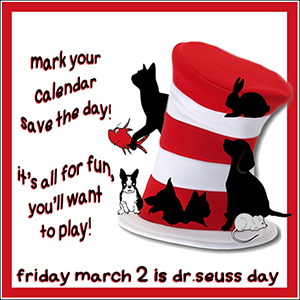 hats off to your humans for coming up with good ones. How fun for the two of you to have boxes right next to each other! You're both so cute. 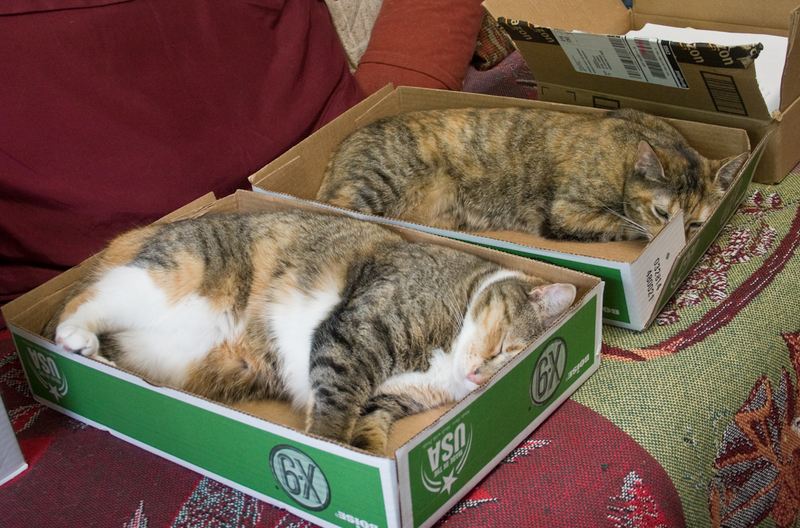 Love how you both are snoozing in your boxes. Hahahaha! You got Luke back! He will be eating his way out of that box soon. Dogs do eat boxes, in case you didn't know! 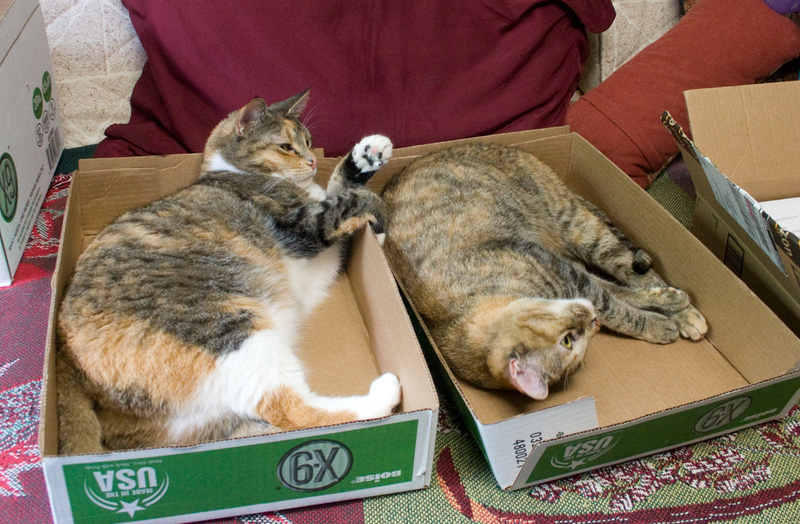 You two sure had fun with those box tops, great job! you celebrated that day with style, wo... there was even a kiss included... pawsome!! Wow! What great boxes! And you two are so cute in them. You guys know how to "do" boxes! Happy Box day!! These are great pictures. You two are so sweet and adorable! Love your photos. Happy International Box Day! Those were great! We love how you are celebrating! 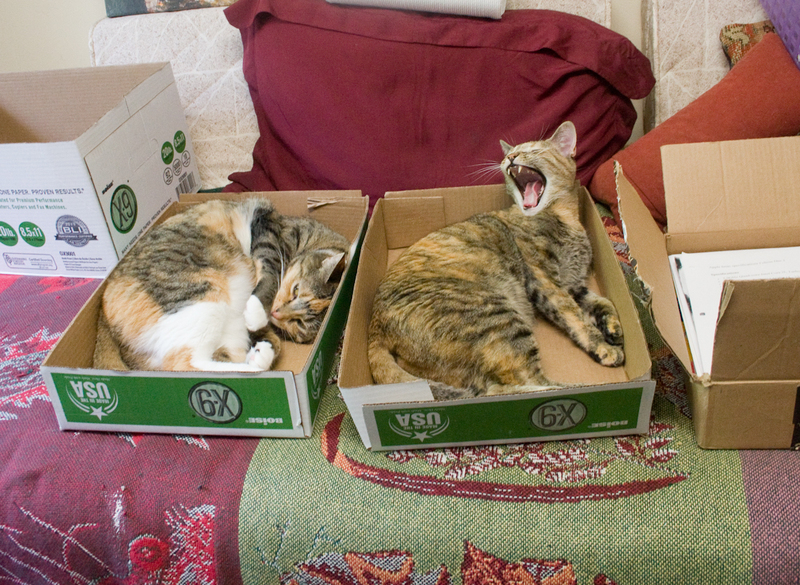 Now that is such a good box story. You two ladies are just the best and really good sisters too. We love the pictures of you. Thanks for hosting this event. You all have a terrific day. Yous guys is the greatest!!! 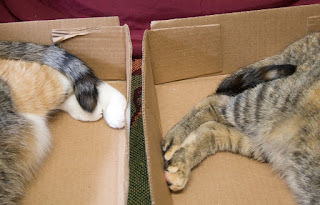 What a great tale of 2 tails in boxes! There was so much smooching going on we weren't sure any box appreciation was going to happen! MOL! Love these photos. 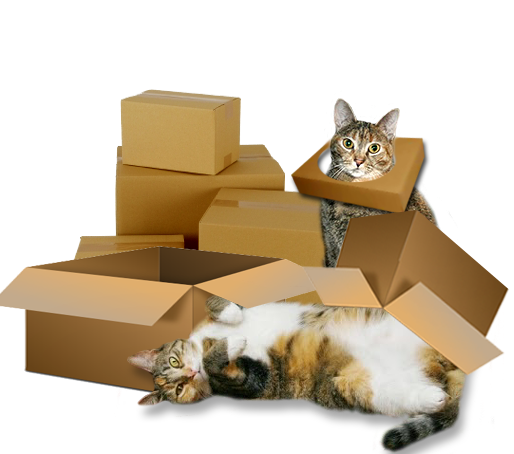 Thank you for hosting International Box Day! Awesome boxes! And awesome use of them! Happy Box Day! 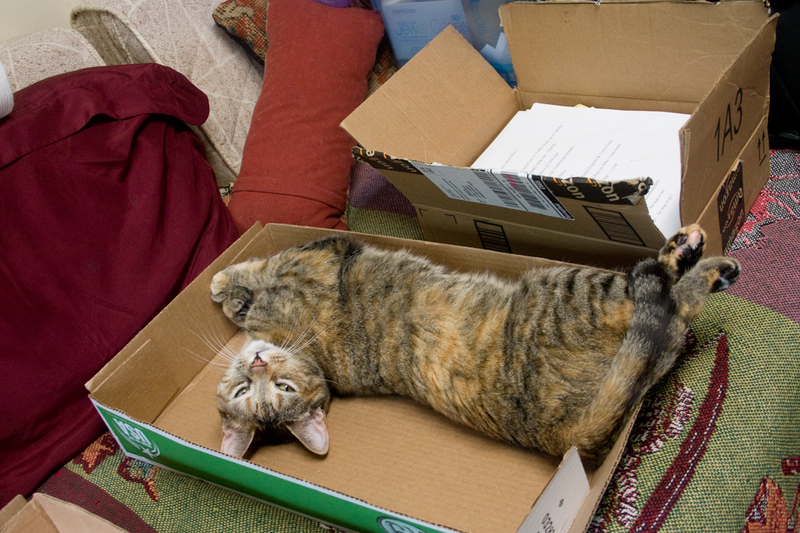 Happy International Box Day! Thanks for hosting! Bonjour, our blog hop entry was from the post at the french-language version of our site. You can also visit (and join) our anglophone page at http://aimable-c.at/ . OMC! These are great photos. You two sure love each other. I've never been much of a snuggler of kitties - heaven forbid I should snuggle with my brotherS - but that is what mom is for, right? Peaches and Paprika, we love seeing you enjoying your boxes so much! Thank you for hosting this wonderful event, dear ones. Thanks so much for hosting! LOVE your boxes and your Box Day photos ladies!!!! Thank u guys, gals, felines and even a woofie or 2 for the wonderful comments! 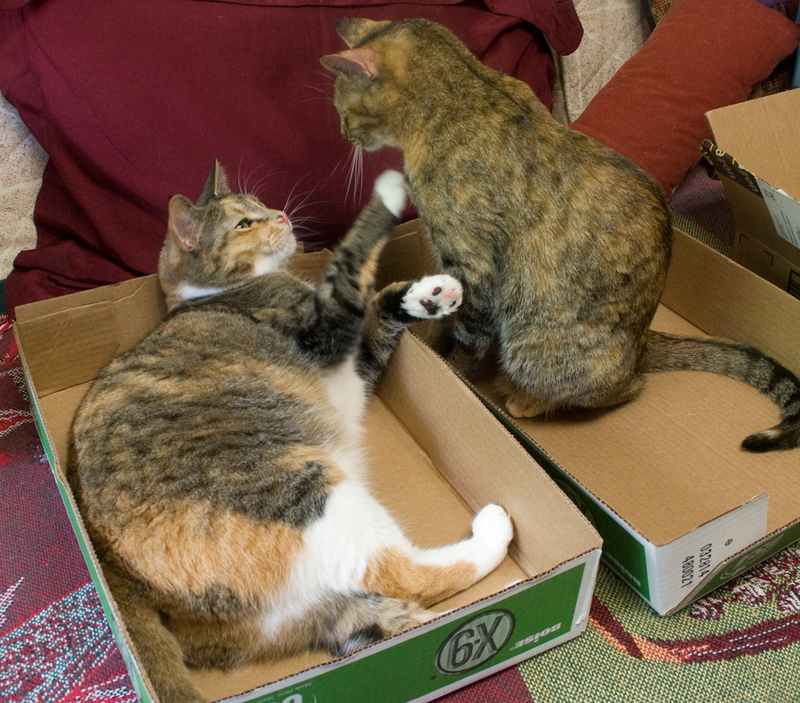 We totally enjoyed hosting International Box Day and loved hearing from you. (of course we ALSO loved being immersed in BOXES! (And thanks again to Ann of Zoolatry for her unbelievably imaginative & so enjoyable box illustrations! WOW! You did the boxes PURRFECTLY! Thanx, our co-host Jan. Ur the Best!! What fun photos! Happy Box day and thanks for hosting!